Added "OCNA ONLY" attribute. If this is not right, please correct. 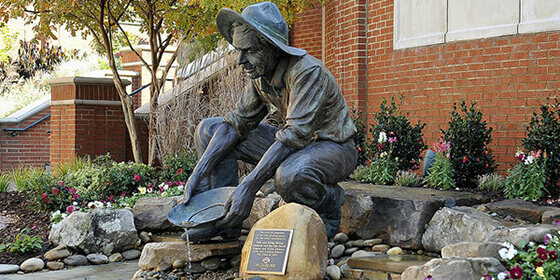 This statue, which was placed here in 1991, is in recognition of the UNC Charlotte mascot, the 49er Miner. 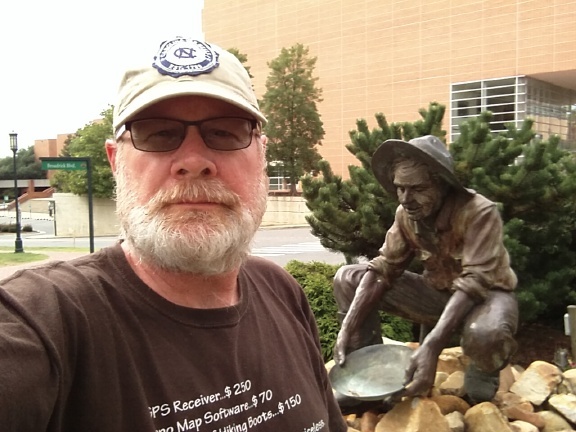 To claim credit for this cache, please post a picture of yourself with the sculpture. Also, there is a plaque onsite with the names of the people from the Class of 1985 that the statue was contributed by. You will need to collect the Last Name from this plaque to log the cache (the Log Password). +/- # 48 @ August 30, 2015 16:28.